Another one! 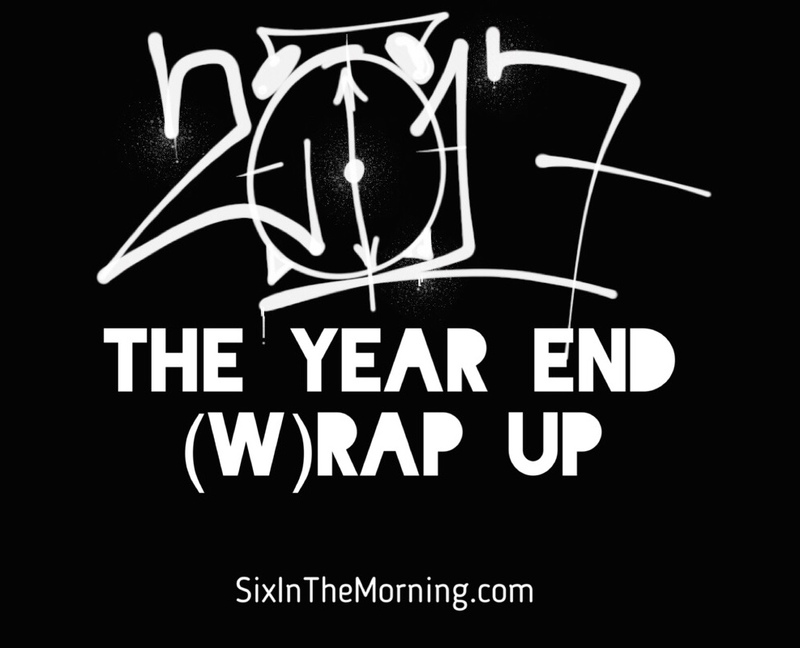 2017 was a great year for HipHop and here at Six in the Morning we wanted to celebrate this last 365 by having our annual Year End W(rap) Up Episode! Plenty of great music to choose from which include some usual suspects (Kendrick Lamar, Jay-Z, Scarface and Sean Price), some album of the year candidates (Rapsody, Oddisee and Cyhi the Prynce) and leaders of the new school (Wiki, Problem, Mick Jenkins and Conway). We couldn’t cut this one down so more great music to share! You’re welcome. HipHop music is in good hands. I’m sure you will agree.